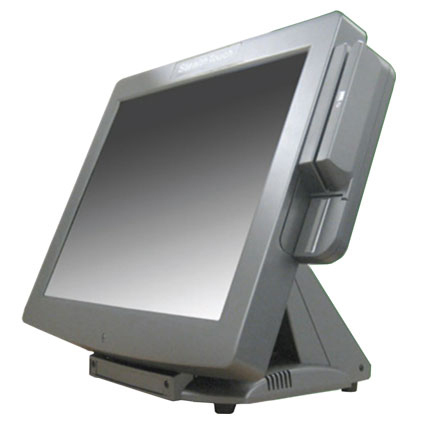 The StealthTouch-M7 is a 17" All-in-one touchcomputer powered by Intel Core 2 Duo technology. This technology allows the M7 to meet your most demanding application. 12-volts and 24-volts poweredUSB ports. 2X20 Customer Display, Opos, Serial. - 2X20 Customer Display, Opos, Serial. Wall/Vesa 75 Plate, 17" Model. - Wall/Vesa 75 Plate, 17" Model. Select Product * Please select product 2X20 Customer Display, Opos, Serial. PioneerPOS 17" M-Line M7 Core2.53Ghz,2/160Gb 17" Resist Noos Lpt Tallbase PioneerPOS 17" Stealth M7 Dual1.9Ghz 2/160Gb 17" Resist Noos Lpt Tallbase Wall/Vesa 75 Plate, 17" Model.